in the Civil War of 1861-1865. Location. 41° 38.319′ N, 80° 8.964′ W. Marker is in Meadville, Pennsylvania, in Crawford County. Marker is at the intersection of Diamond Park Square and East Center Street, on the right when traveling north on Diamond Park Square. Touch for map. Marker is at or near this postal address: 903 Diamond Park Square, Meadville PA 16335, United States of America. Touch for directions. 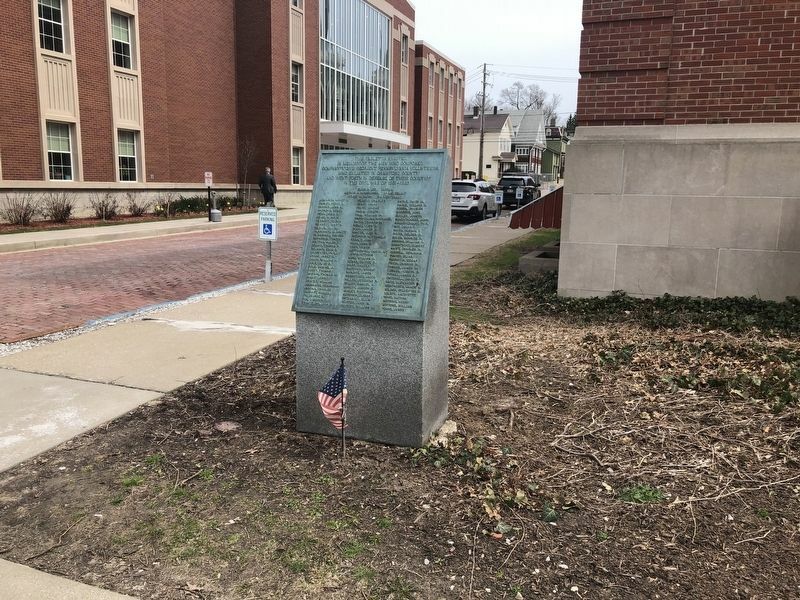 of this marker); Erected May 12, 1888 (within shouting distance of this marker); Bicentennial (within shouting distance of this marker); Raymond Philip Shafer (within shouting distance of this marker); The Promenade de Fismes (within shouting distance of this marker). Touch for a list and map of all markers in Meadville. More. 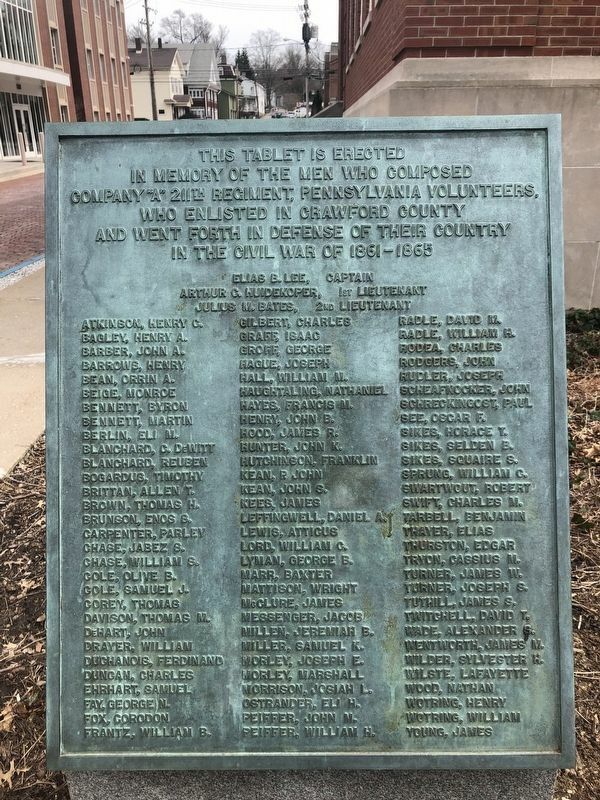 Search the internet for Company "A" 211th Regiment, Pennsylvania Volunteers. Credits. This page was last revised on April 15, 2019. This page originally submitted on April 15, 2019, by Devry Becker Jones of Washington, District of Columbia. This page has been viewed 33 times since then. Photos: 1, 2. submitted on April 15, 2019, by Devry Becker Jones of Washington, District of Columbia.